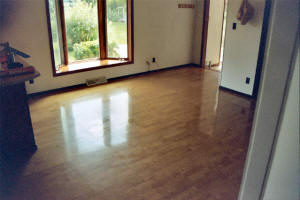 Does your home have a laminate or sealed hardwood floors? If so, our wood floor cleaning service can remove accumulated deposits of soil and bring out the luster of the original finish. 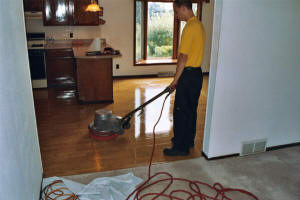 Listed below is a high-level overview of the steps we follow to clean your flooring. Dry soil removal. Thorough pre-vacuuming. 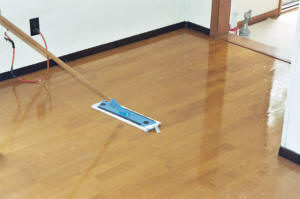 Application of neutral wood floor cleaner. Suspend soil. Power scrubbing. Agitate cleaning solution to break down soil. Rinse. 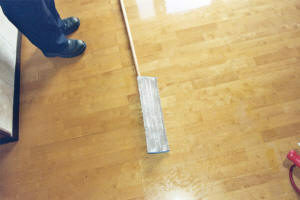 Thoroughly rinse floor to remove all soil. – Remove any remaining moisture. – Place high-speed air movers to dry floor. 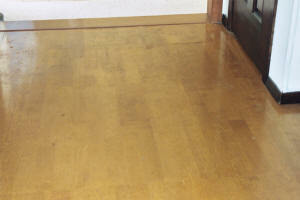 – Inspect floor for any remaining soil, spot clean as necessary. Optional: Apply protective top coat.